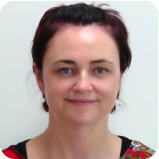 Attracta began her Psychotherapy Career almost 20 years ago when she completed a 4-year Diploma in Psychotherapy. She followed this with a 3-year Master’s Degree in Humanistic & Integrative Psychotherapy in the University of Limerick. Attracta has a special interest in Childhood Trauma Recovery and supported this interest by completing a further 6 years training in Biosynthesis Somatic Psychotherapy in Switzerland with one of the world’s leading experts and pioneers in Childhood Trauma and Interpersonal Neuroscience Dr. David Boadella. Attracta is also an experienced Fertility Psychotherapist and has substantial experience supporting clients undergoing IVF and Donor programmes. She is trained in a range of Evidence Based Therapies and collaborates with the client in order to develop a comprehensive and developmental understanding of the Psychological Processes that underpin the difficulties. This allows for an in-depth integrative therapy which enables her to identify an effective therapeutic plan in order to affect lasting change and discover new resources. Attracta also provides a Humanistic, Integrative & Body Oriented Approach to Supervision for Counsellors & Psychotherapists. This allows her to create a safe, playful, reflective and imaginative space to support therapists in their work and development, enabling them to develop and deepen their unique style.